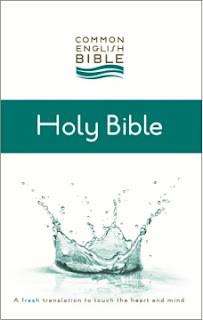 Catholic Bibles: Free E-Book CEB! Thanks for the info Timothy, and thanks to the people at CEB! I like having a dynamic English translation to compare with my more formal translations. I use the REB for this purpose in book form, but the REB is not offered on Kindle (or other e-form) yet so the CEB will fill this void. I got it, and I had to read the NAB to clear my palate. Promptly removed from my Kindle, and I have 1,183 MB of space left. No wonder this translation - published last year I believe - was on closeout at every store (including Amazon) by the beginning of this year. There's only so far people will go.